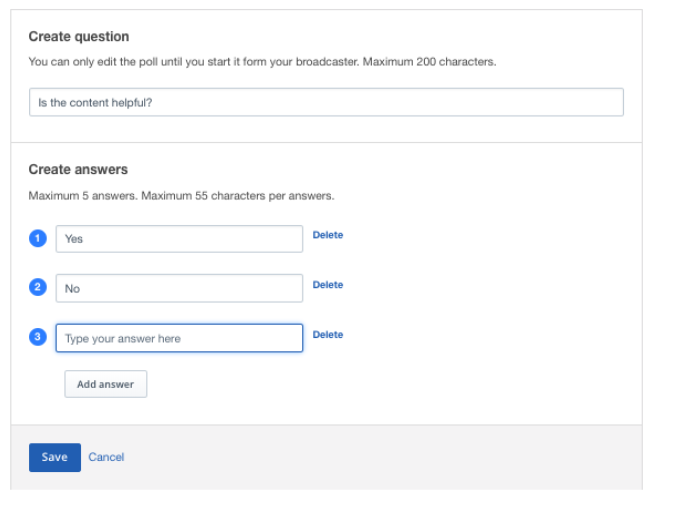 Polls for Live Broadcasting is a feature that is available on the IBM Watson Media. 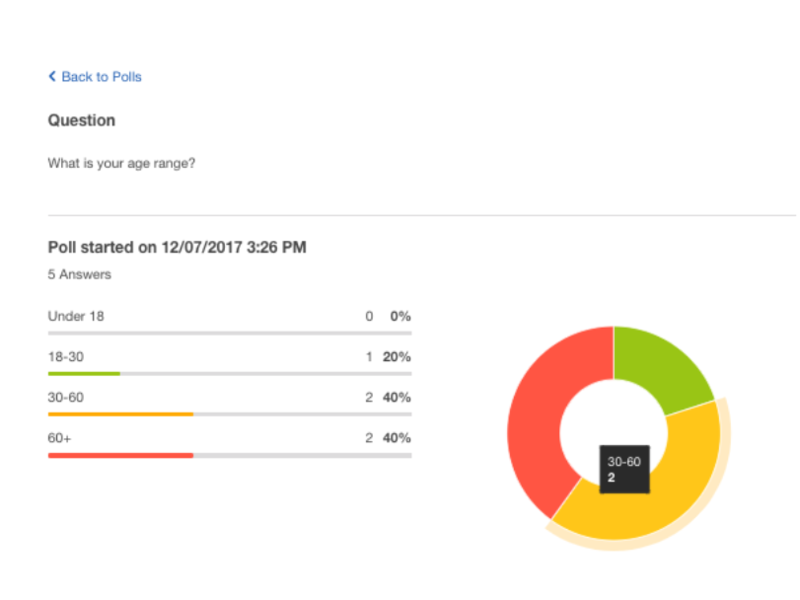 With the Polls feature you can engage your audience with specific questions and receive real-time feedback from your audience. 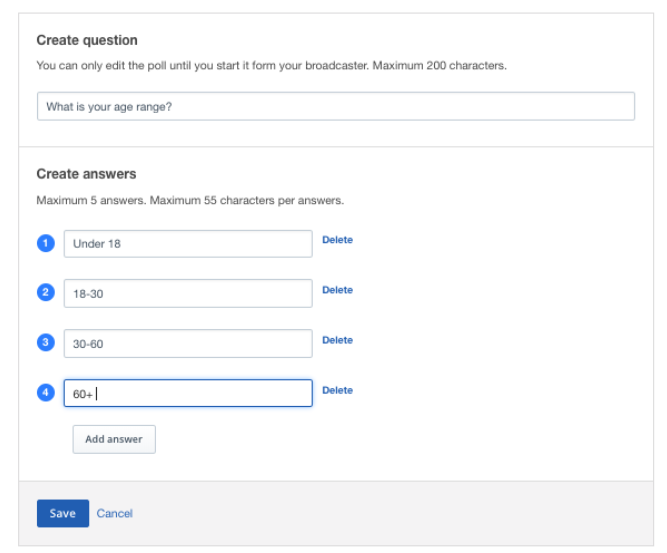 Live audience polling is a powerful tool that can be used to dynamically adapt live content based on feedback. This can alter performances, steering content in a direction the audience wants it to go, while also gathering valuable information from the audience as well. To set up your first Poll, log into your account and select the channel the poll should be applied to, then select Interactivity. Then select “Details” next to Polls. If you have not yet created a Poll, click the “Create Poll” button. 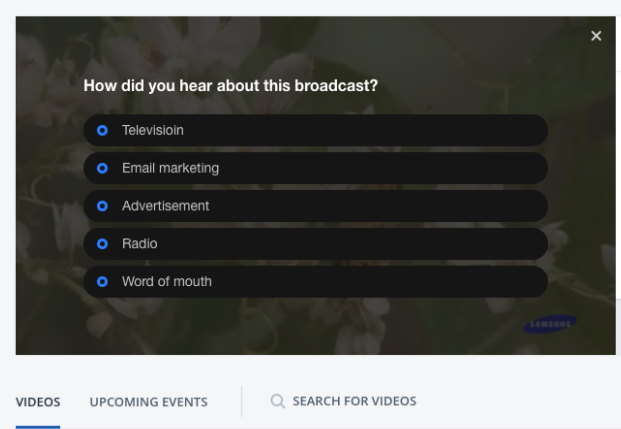 Enter the first question at the top, followed by the multiple answers that your viewers can select from. In the following example, we’ve used a simple Yes/No format. One the question and answers have been input, press Save. This page will display all of the Polls that have been created and saved. 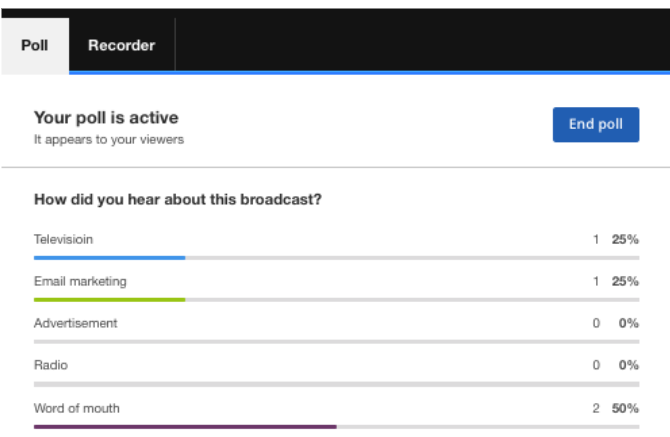 To initiate a poll on the channel player, click on the Channel then Broadcast Settings. Then select “View” next to Encoder Settings. Scroll down on the page and click the Launch Remote Console button. Then select the Poll tab. If there have multiple Polls, they will appear in the drop down menu. To start the poll, click the “Start Poll” button. 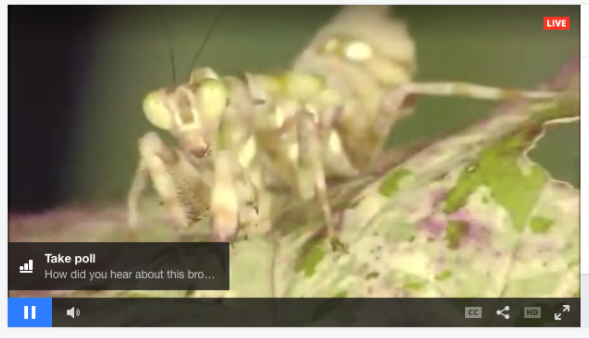 Once the poll has started, viewers will see a notification appear in the bottom left corner of the player. To take the poll, viewers must click the notification. Then they will see an overlay with the multiple choice answers displayed. To view the results of the Poll in real time, open the Remote Console window under the Poll tab. To view the results of the Poll after it has ended, select Interactivity then “Details” next to Polls. All past Poll results will be shown here. To review the results, click “Results”. It is also possible to archive old Poll questions to make room for new ones. Keep in mind that once a question is archived, it cannot be recalled.